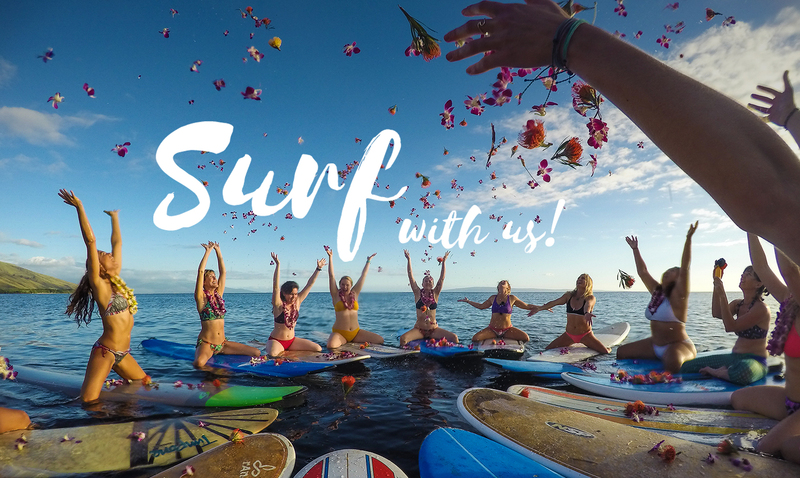 Maui Surfer Girls offers the best Maui surf lessons and surf camps for teens and women. 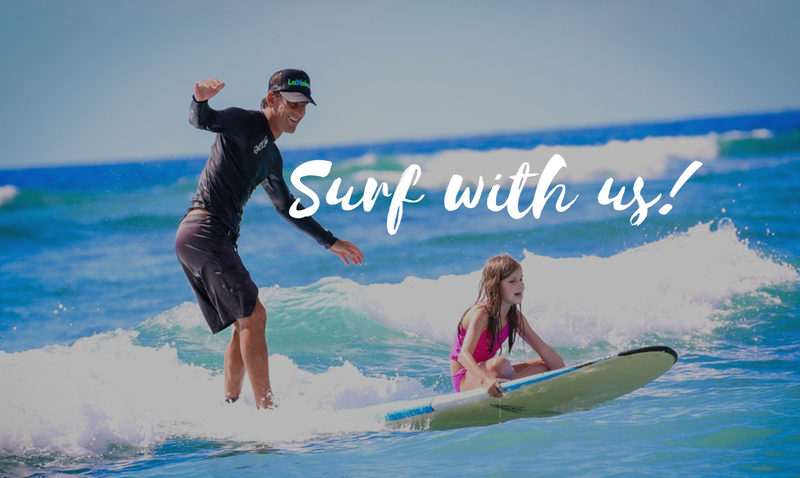 Our surf school is open to women, men and children, and specializes in small groups, families, and newlyweds. Small class sizes, uncrowded beaches and dedicated instructors set us apart from the rest. Our website features LIVE availability, click on your desired class and see the openings right away! Book by 5pm for next day lessons! Kiki was awesome! 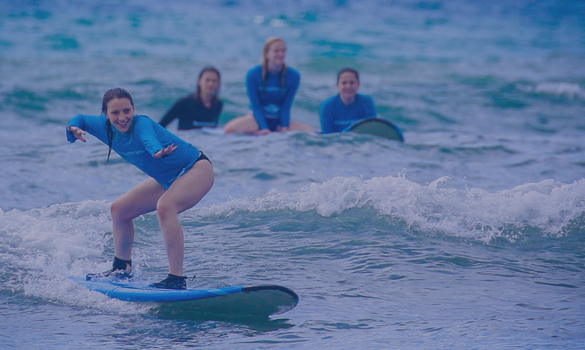 I was very nervous about surfing and she took the time to teach us the basics in a way that made me comfortable and was still helpful for my husband, who had more experience than me. Beautiful day with great waves for newbie made it all the better. Highly recommend!! We are a couple in our late 50s and had a blast. Kiki made this easy, fun, and we were wildly successful beyond our imagination. I think girls make the best surf teachers (although we are just one data point with one instructor). But seriously, she explained practical stuff we really needed to know (since we are not already surfers), but also threw in some of the physics of how waves are formed and shaped. Super! 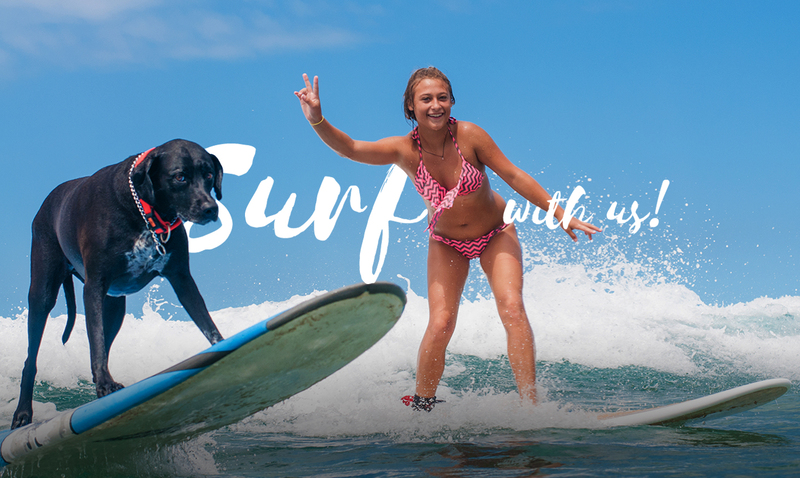 If you want to learn how to surf, this is the place to go! Our instructor Sharky was the best. After on land instructions we were ready! He was very patient with me and helped me with everything. 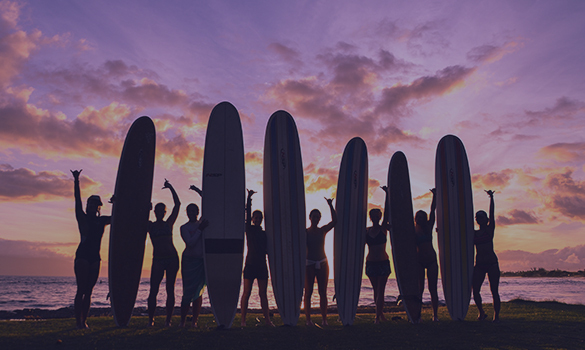 Maui surfer girls pick the perfect beaches for learning to surf. Sharky was so funny, encouraging, friendly and built up our confidence. He taught us how to pop up on the board and ride the wave like a pro! We even came back to have another lesson and it was even better. We learned how to ride on the line of the wave. It’s beyond woods on trying to describe how much fun it was! Don’t hesitate or make a second guess without calling their number. This was a highlight of our trip. Thanks Sharky! The crew at MSG are simply fantastic! My 11 yr old son was made to feel very comfortable and was riding waves within 10 minutes. The instructors tailor teachings to different skill levels. My 15 year old daughter was challenged to improve her style. 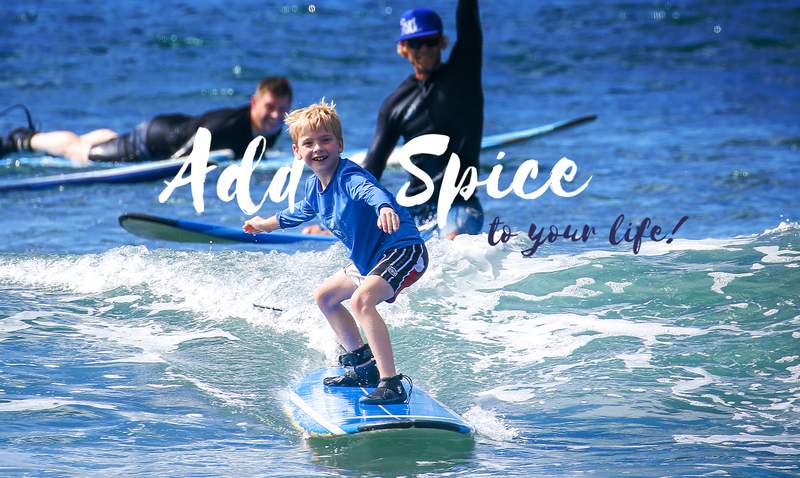 As a Dad – the instructors helped me catch a few waves myself. Can’t say enough good things about Kelly, Gina, and Sharky! Certainly this experience was the highlight of our trip to Maui! Kelly was a fabulous instructor. She was very informative, patient and entertaining. My daughter and I had a wonderful time and it has inspired us to learn more about surfing.